Fox offers Compression Adjusters on 2.0, 2.5 and 3.0 coilover, smoothie and internal bypass shocks. Fox calls their adjuster a Dual Speed Compression (DSC) adjuster because it has separate knobs for low speed and high speed adjustments. 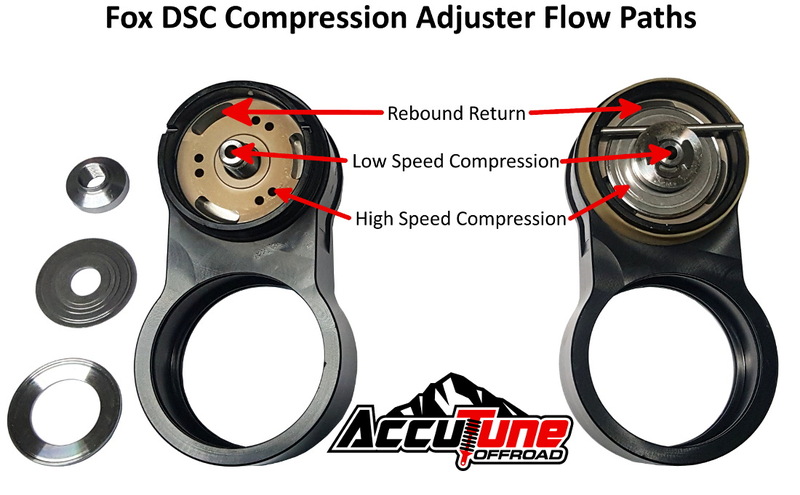 Fox DSC Compression Adjusters combined with AccuTune Valving are a great improvement to off-road shocks because you’ll be in the middle of the adjustment range, allowing you to quickly make adjustments to fine tune your ride comfort and performance. 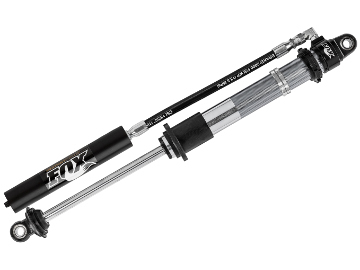 When it comes to shock tuning they will save you countless hours and greatly improve your results. Fox compression adjusters have three flow paths: low speed free bleed, a high speed disk stack, and a rebound check valve. 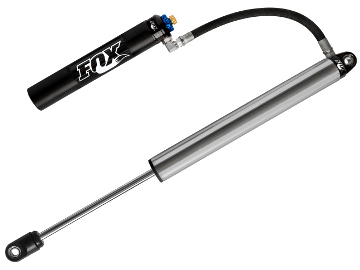 The Fox Low Speed Compression circuit works by using a needle and seat to change oil flow through the free bleed path. The Fox High Speed Compression Adjuster circuit uses deflective disks to control flow. The high speed circuit is externally adjustable and works by increasing preload on deflective disks. The rebound check valve allows oil to easily return to the shock when the shaft extends. Fox Compression Adjusters have a substantial range of adjustment that can transform your vehicle from a cadillac to a race car. The Fox low speed adjustment ranges is huge and can add between 120% (solid axle and standard IFS) and 150% (light IFS) more low speed load depending on vehicle/tune. The high speed adjuster can add between 30% and 60% more high speed force depending on vehicle/tune. The adjuster is more effective on IFS vehicles because the shock operates at slower speed, where the low and high speed adjusters work together when fully closed. The downside is that IFS shocks also operate at higher loads, making the adjustment range a smaller percentage. The Fox Low Speed Compression Adjustment give you the ability to find the optimal trade off between ride, handling and bottoming control. The Fox Low Speed Compression Adjuster has a large usable range and give each click an appropriate amount of adjustment. The Fox DSC Adjuster has 9 low speed clicks. While adjustments do spill over into high speed, the percentage change is heavily weighted towards low speed. The separate Fox High Speed Compression Adjuster gives you a dedicated adjustment for tuning on whoops and high speed hits. The adjuster has 11 clicks and offers a great range of adjustability which has almost no impact on low speed compression. There are many other lesser known benefits of compression adjusters that improve the performance of your shocks such as increased damping, better cooling and more consistency. Compression Adjusters are basically a second damping piston which works off the displacement of the piston rod and meters oil flow into the reservoir. By adding a second damping piston the damping area and damping force are automatically increased. 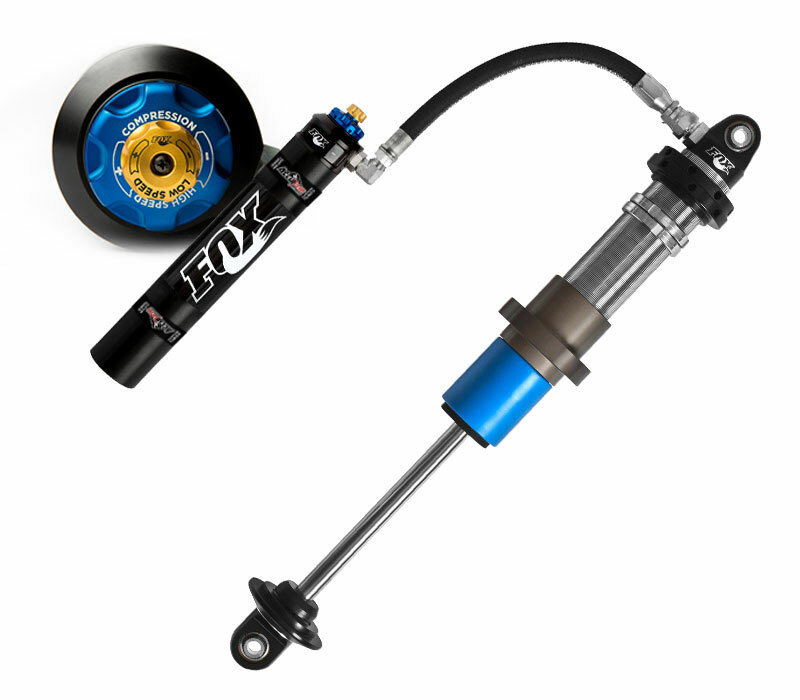 This is important for 2.0 shocks on solid axles and 2.5 shocks on IFS, which can run out of damping force. Because the compression adjuster piston is located next to the reservoir it does a better job putting heat into the oil where it is more easily cooled. 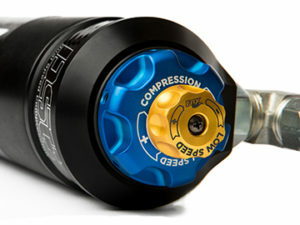 Finally the compression adjuster piston significantly reduces the ability for the shock to cavitate and loose damping. Small amounts of oil can easily flow into the reservoir, but compression adjusters generally don’t flow large amounts of oil well, meaning they’re forced through the main piston, making it do it’s job. 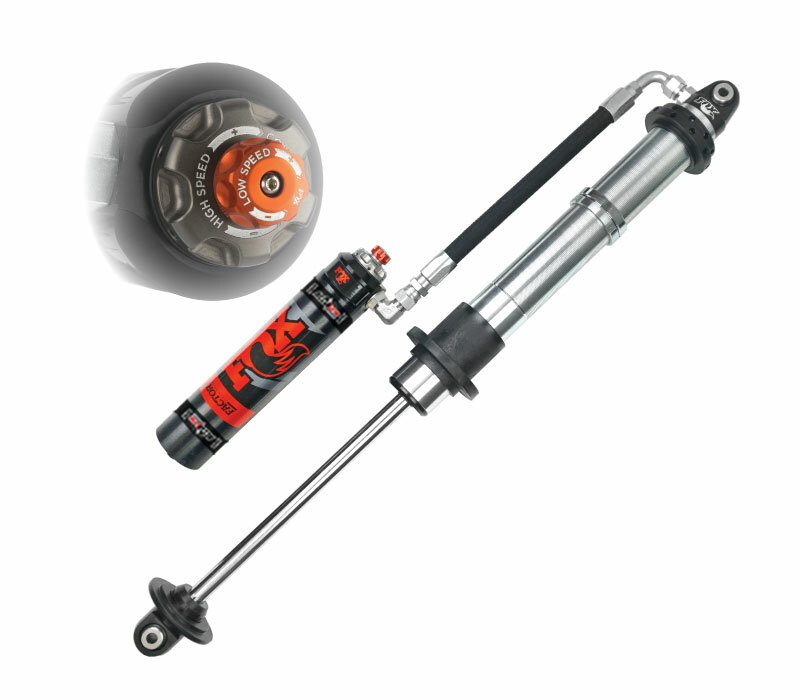 These benefits by themselves are often worth adding a compression adjuster to your shocks. Fox DSC Adjusters really work and are an excellent choice if you’re changing weight, changing terrain, or want the best possible ride. Because of how compression adjusters work and the limited high speed adjustment range they require special valving which is best done with AccuTune equations. Dial in the perfect ride with AccuTune Valving and DSC equipped Fox shocks.